With a stay at Eurobeach Residence in Cavallino-Treporti, you'll be within a 10-minute drive of Aqualandia and Jesolandia Amusement Park. 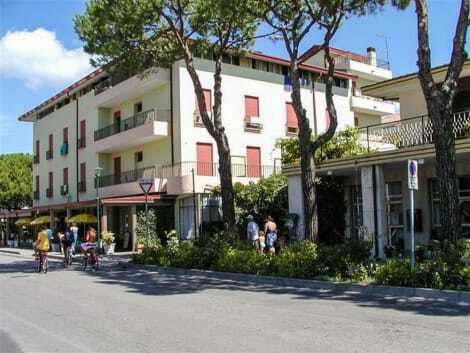 This apartment is 26.6 mi (42.8 km) from Forte Bazzera and 4.7 mi (7.6 km) from Golf Club Jesolo. Enjoy recreation amenities such as bicycles to rent or take in the view from a terrace. Additional amenities at this hotel include complimentary wireless Internet access, concierge services, and babysitting/childcare (surcharge). Make yourself comfortable in your air-conditioned apartment, featuring a minibar and a flat-screen TV. Complimentary wireless Internet access keeps you connected, and cable programming is available for your entertainment. The bathroom has a bathtub or shower.Housekeeping is provided daily, and a crib/infant bed (surcharge) can be requested. lastminute.com has a fantastic range of hotels in Cavallino-Treporti, with everything from cheap hotels to luxurious five star accommodation available. We like to live up to our last minute name so remember you can book any one of our excellent Cavallino-Treporti hotels up until midnight and stay the same night.